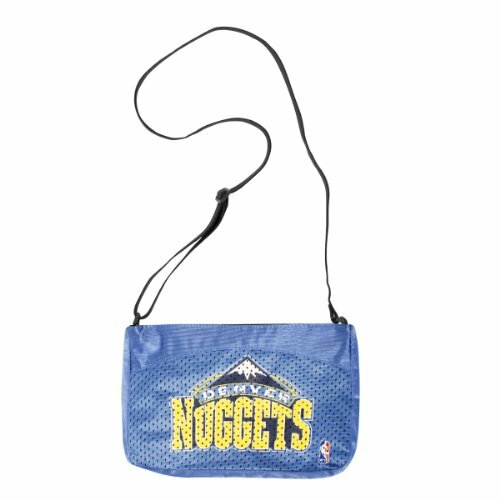 Show your team loyalty with this stylish looking NBA Jersey Mini Purse by Littlearth. Each mini purse measures approximately 10.5-inches in height, and 7.5-inches in height and resembles the look and feel of an authentic jersey. It features two inner pouch pockets to keep belongings safe and includes a zipper closure. It is decorated with a screen printed team colored logo and includes an adjustable strap that extends to 25-inches. This cute mini purse is conveniently sized to carry your cell phone, ID, cards and lip-gloss and more for the game and then out afterwards. Cute Way to Show Your Team Loyalty on Game Day! View More In Women's Handbags & Purses. If you have any questions about this product by Littlearth, contact us by completing and submitting the form below. If you are looking for a specif part number, please include it with your message.